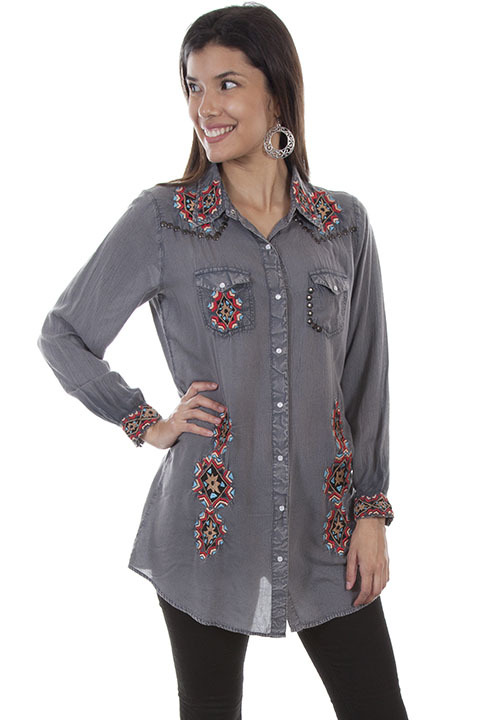 Western yoke & nailhead blouse. An array of dancing embroidered geometric patterns throughout. Single point front and back yokes with nailheads running along the perimeter and nailheads on the left pocket. This easy fit blouse features a snap front closure,point collar and two chest flap pockets with snap closures. Hand wash separately cold water dry clean recommended.